I commend you for initiating a national challenge to transform the comprehensive high school into a Super School and putting $50 million on the stump for experts, parents, practitioners, and academics to compete for in creating better high schools than exist now. Reinventing the high school should generate an enormous range of suggestions for your expert panel to consider after the national round of open meetings end in November. What you are launching is worthwhile especially if it were to spark a national conversation about the goals of tax-supported public schools in a democracy where the economy has shifted from industrial-based to an information-driven one. Whether that conversation (and debate, I hope) will occur depends greatly, I believe, on you and your associates knowing about how high schools have, indeed, changed over the past century and, of equal importance, the checkered history of efforts to “transform” the U.S. high school. That historical knowledge should be one ingredient in considering different groups’ proposals inspired by your challenge. The most recent serious effort to alter the comprehensive high school was when the Bill and Melinda Gates Foundation poured over $2 billion into creating small high schools 15 years ago, an effort that the Gates Foundation shut down in 2009. Yet “small high schools” persist–it is one of the changes in high schools that I refer to above–because they personalize instruction for many students heretofore ignored in conventional comprehensive high schools. Knowing that public high schools have changed in small and big ways over the past century is essential in making wise funding decisions. The original comprehensive high school in the 1920s with its diversified curriculum catered to the broad range of student interests and aptitudes. It was an innovation that “transformed” the previous academically narrow high school of the 1890s. Since then, repeated efforts to reform the reform have occurred. In the 1950s, for example, former Harvard University president, James Bryce Conant, called for an overhaul of the high school; a decade later, attacks on the sterile comprehensive high school produced a flurry of alternative and “free” high schools. Ted Sizer launched the Coalition of Essential Schools in the late 1980s with its nine “common principles” and hundreds of those high schools exist across the nation. 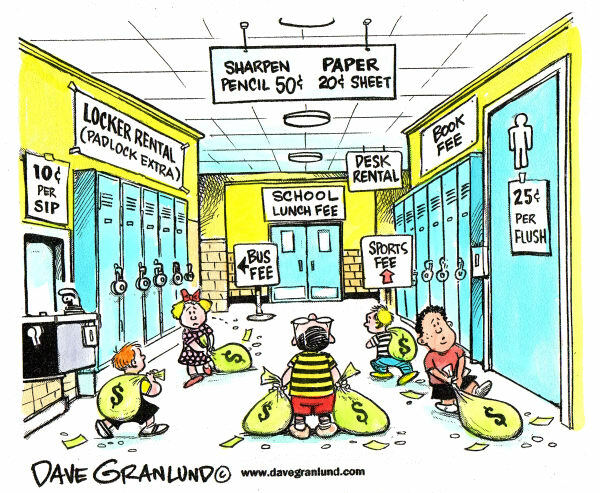 In the early 1990s, a privately funded venture called the New American Schools Development Corporation, later shortened to New American Schools, spread “whole school reform” models to elementary and secondary schools throughout the U.S. As one advocate put it: those seeking grants from NASDC will have to “cast aside their old notions about schooling–to start with a clean sheet of paper, and be bold and creative in their thinking, and to give us ideas that address comprehensive, systemic change for all students for whole schools.” And in the early 2000s, the Gates Foundation underwrote the move to downsize large comprehensive high schools into small ones. My point is that the high school you want to “transform” has changed many times in past decades. It has never been frozen in amber. In all of those previous reforms, fundamental questions divided those seeking major changes in the comprehensive high school then and now. 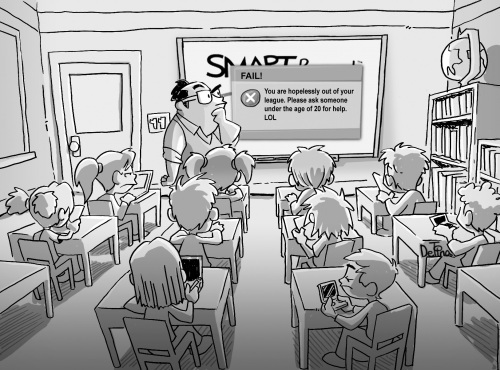 *Should all students learn the same thing? *how should students best learn? *Who should decide answers to these questions? Every attempt to “transform” the comprehensive high school since the 1920s wrestled with these questions. Each generation of reformers came up with answers only to see that a subsequent generation of reformers supplied different answers to the same questions. Knowing that history and the particulars of past efforts to “transform” the high school is essential to the current generation of reformers that you seek to inspire, Mrs. Jobs. I write this open letter to you not to depress you or your staff about earlier efforts to “revolutionize” high schools. Historians have gained a bad reputation by pointing out previous failures in trying to reform government, medical practice, the criminal justice system, and yes, public schools. What historians do know is that economic, political, and social contexts change and when past reformers bent their minds and hearts to “transforming” the public high school in the 1920s, 1950s, 1960s, 1980s, and since the 1990s those times differed greatly one from the other. History as a wise observer once said, surely doesn’t repeat itself but it does rhyme. Which brings me to my one suggestion. Among your retinue of experts to advise you on funding proposals, I ask that you include a historian of education who knows the past and its rich collection of previous attempts to bring the high school into alignment with a society undergoing profound economic, political,and social changes as is occurring here and now. 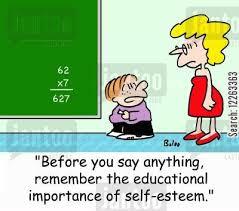 There are many fine historians of education. A short list might include Jonathan Zimmerman, William Reese, Geraldine Clifford, John Rury, Diane Ravitch, Carl Kaestle, Ellen Lagemann, and David Labaree. I hope you will tap their knowledge and insights. Knowing about past high school reforms, I believe, will inform your decisions about which grants to approve amid current controversies over Common Core standards and increased state testing. If you want to increase the probability of success in this venture, such historical knowledge can arm you and your staff sufficiently to make wise decisions when it comes to “transforming” U.S. high schools. 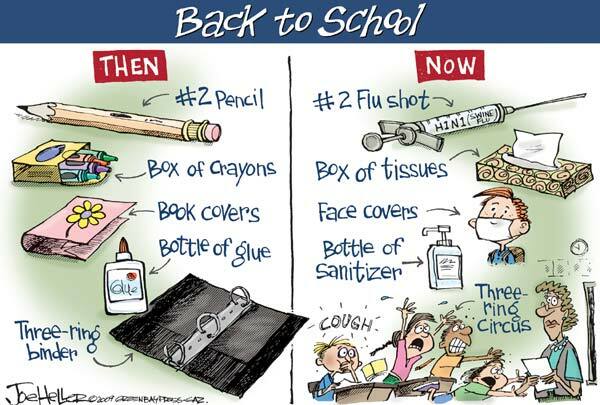 Here’s a selection of cartoons that amused me about the return to school this month in the U.S. 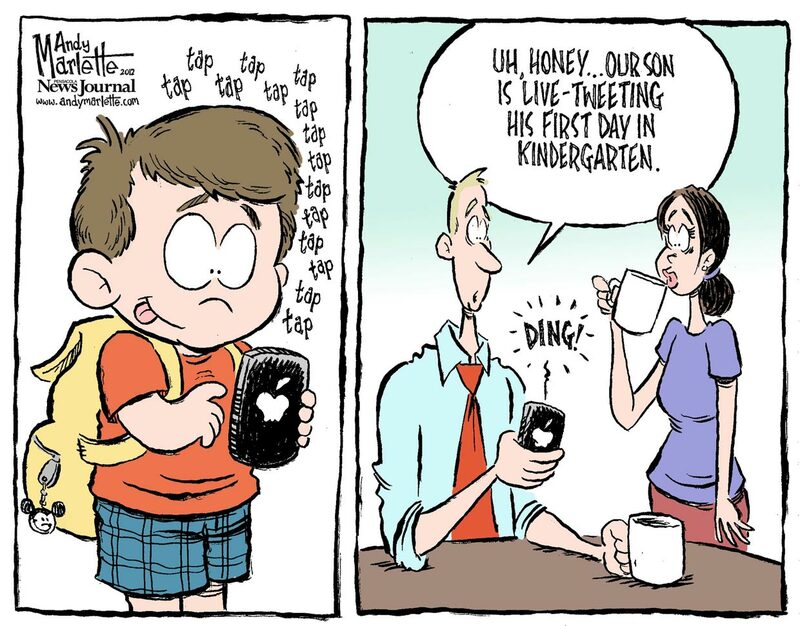 I also included cartoons that picked up on the foibles of parents and kids in this high-tech society. Enjoy! In this post, I will sketch out two puzzles that emerge from the OECD report, “Students, Computers, and Learning.” The first arises from the gap between high PISA test scores and low use of computers in school in particular countries. The second puzzle is trying to explain the inattention that media both mainstream (newspapers, magazines, network news) and side-stream (opinion and curated blogs, Twitter) has paid to this report. Puzzle 1: Students from countries that score high on PISA in 2012 spend less time in school using computers than European and North American students. International test comparisons have driven the past thirty years of school reform in the U.S. Doing poorly on international rankings has prodded reformers to call for U.S. students to copy Asian and Scandanavian countries in their language, math, and science lessons. The OECD report on computers in 60-plus countries’ schools, however, offers empirical data that raise serious questions about one sturdy pillar of U.S. school reform: more access to and use of high-tech devices and software will improve teaching and learning. Consider that 15 and 16-year old students in Singapore, Korea, Japan, China (Hong-Kong and Shanghai), have scored higher on PISA (first, second, third, fourth, and sixth) than the U.S. (twelfth) yet–this is one big “yet’–have less access to computers in their schools and spend less time in school on the Internet (pp.18- 22). Thus, the report concludes: “PISA results show no appreciable improvements in student achievement in reading, mathematics or science in the countries that had invested heavily in ICT for education” (p.15). How come? Why the disparity in the above countries between access and use of computers in schools (all of the above countries have very high rates of computers in homes) and scores on PISA. No cause and effect do I suggest. This is a puzzling correlation that goes against the non-stop championing of school reformers who tout the virtues of getting more and more devices and software into U.S. classrooms. The OECD report does suggest one tantalizing (and possible) reason, however. Maybe, just maybe, the thinking and writing skills necessary to navigate the Internet and read with understanding web articles and documents, as the OECD report says, can be just as well taught in conventional lessons without use of tablets, laptops, and top-of-the-line software (pp. 15-16). The puzzle remains. Puzzle 2: Media attention to the OECD report has been minimal, especially in high-tech rich areas. The report appeared on September 13, 2015. “Warp speed” news in the 24/7 media cycle guaranteed immediate reference to the report. And a flurry of articles in U.S., European, and Asian news outlets appeared (see here, here, here, and here). Within days, the report had been picked up by bloggers and occasional tweeters. Many of the articles and news briefs leaned heavily on OECD press releases and statements in the document by Andreas Schleicher, Director of Education and Skills for OECD. In the U.S., national and regional newspapers and network TV stations ran pieces on the report (see here, here, and here). In those areas of the U.S. where high-tech businesses are crucial parts of the economy (e.g., California’s Silicon Valley, Austin, Texas, Boston, Massachusetts) barely a passing reference to the OECD report. None at all (as of 9/22) appeared in news organizations in the San Jose-to-San Francisco corridor. Of course, it may be a matter of time–I scoured Google’s references to the OECD report for only 10 days after it appeared. In the face of the ever-hungry news cycle, however, if the OECD report went unnoticed after it appeared, chances that the report’s findings on computer access, use, and academic performance turning up later are slim, given the media imperative to produce fresh news hourly. There may well be analyses in magazines, journals, and the blogosphere that appear weeks or months later but after 10 days, the report will be stale and forgettable news. Here’s what’s puzzling me: National coverage in the U.S. of the OECD report was spotty. While the Wall Street Journal, Los Angeles Times, and the Washington Post ran pieces on the report, The New York Times has not made reference to it. And in the nation’s hot spots for birthing hardware, software, and apps in northern California, Texas, and Boston, barely a mention. How come? I can only speculate about the little attention that this eye-catching report on the connections between computer access, use, and performance has attracted at a moment in time in the U.S. when entrepreneurs and vendors promise efficient and effective management of resources and student improvement in reading, math, and science. Across the nation more and more school districts are spending scarce dollars on tablets, laptops, and software. My hunch is that the mindsets of high-tech entrepreneurs, vendors, media executives, foundation officials, and school district policymakers contain deep-set beliefs in the power of technology to make fundamental changes in every sector of society, including schools. When occasional reports like the OECD one appear that challenge the beliefs, it is occasionally noted but not taken seriously or simply ignored. Academics call this inability to absorb information running counter to one’s beliefs, “confirmation bias.” My hunch is that the OECD report has been largely dismissed by ever-scanning mainstream and side-stream media editors, journalists, and bloggers precisely because of this bias toward the power of computers and technology to whip schools into academic shape. The above headline comes from the Irish Times (September 15, 2015) reporting on the Organization for Economic Cooperation and Development (OECD) study: “Students, Computers, and Learning.” Other online and print media headlines on the OECD report capture in simple words different aspects of the report: “Schools Wasting Money on Computers for Kids” or “Putting More Technology in Schools May Not Make Kids Smarter.” Of course, headlines are compressed sentence fragments seeking to convey the essence of the study. But media DNA requires going for the sizzle, not the steak. I have read the report’s Executive Summary, looked at the tables of over 60 countries tracking changes in computer access and use, student performance, and national expenditures between 2009 and 2012. Measuring student performance (ages 15 and 16) was the Program for International Student Assessment (PISA), a test that covers countries in Europe, the Middle East, Northern Africa, Asia, and North, Central, and South America. Here are some of the takeaways I gathered from the study. *Increased access and use of computers in over 60 countries between 2009 and 2012 has yet to translate into improved PISA scores in reading, mathematics. or science in these nations (p. 15). *The thinking and writing skills necessary to navigate the Internet successfully in a digitally-dominated society can be taught and learned with “conventional … pedagogies and tools.” (pp. 15-16). 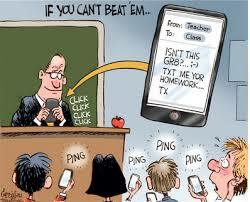 *”In the end, technology can amplify great teaching, but great technology cannot replace poor teaching” (p. 17). As the array of headlines indicate there are different interpretations that can be extracted from the OECD research report (including mine). Surely, the notable increase in access to devices and software is an accomplishment just as increased student and teacher use of both in lessons. What is newsworthy to me, of course, is that one-leg of the three-legged stool justifying buying these devices since the 1980s was academic improvement. The other two were that the new technologies would transform teaching and get students ready for an information-driven labor market. The academic improvement leg has wobbled badly since then from the scarcity of evidence to support the claim of improved achievement. The OECD report severs improved test scores from the list of reasons to buy tablets, laptops, hand-held devices, and accompanying software. What about the other two legs of that stool justifying purchase of new hardware and software? 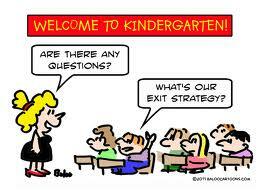 Transforming teaching from teacher-directed to student-centered has been a pipe dream. Yes, those teachers already inclined to develop student-centered lessons or already doing them latched on to computers (whether in labs, or with 1:1 laptops and tablets) to do better what they were already doing. But “transforming” teacher-centered instruction to student-centered for most teachers–given the constraints of the age-graded school and work demands placed upon teachers–has not occurred. The third leg of that stool has been preparing students for an information-based society (and labor market). That reason has become the over-riding public justification policymakers give for buying a trove of hardware and software in the past decade. Note that I used the word “public” in the prior sentence. Covert reasons for buying high-tech devices and software is simply the political pressure on school boards and superintendents to keep up with adjoining districts and reassuring parents and local voters that their children and youth are using up-to-date tools in school and being prepared for all those high-paying jobs in the computer industry, finance, engineering, robotics, etc. ,etc. Keeping up with the Jones may not have started with schools but it surely has infiltrated policy decisions when it comes to new technologies. The shift to justifying outlays of so much public money for tablets, interactive whiteboards, and glamorous software shows up in the mania for requiring high school students to take computer science courses (see New York City). The spread of coding camps and teaching kindergarteners to write code (see here and here) are also part of this rationale for buying more and more devices and software with scarce education dollars. So within the past decade, the three-legged rationale justifying district decisions to buy laptops, tablets, and new software has been demolished. No more hype about improving academic achievement. 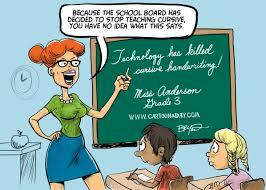 No more words about revolutionizing teaching. What remains is the strictly vocational aim of preparing this generation of students for jobs. As has occurred time and again during surges of school reform—inserting new technologies into classrooms is simply another reform–the deeper and more important issue gets side-stepped; What are the overall purposes of tax-supported public schools in a democracy? The OECD report offers U. S. policymakers a rare opportunity to step back and ask why are we spending so much money on devices and software when the results in so many nations, including the U.S., show such little return on investment? In Part 2, I look at the response thus far to this report. This is the third excerpt taken from Kristina Rizga’s new book Mission High. With her permission I have excerpted descriptions of math and English lessons. In this post, Rizga describes a history lesson that Robert Roth, a long time community activist and veteran social studies teacher, taught. “Your essay on the Mendez v. Westminster case was so powerful,” Roth says as he rests his arm on Maria’s shoulder in the hallway one chilly winter morning in 2011. “You really nailed it this time.” He concentrates on Maria’s face. Roth is dressed in a black, long-sleeved shirt, black jeans, and black shoes. His closely cropped hair has lost most of its pepper. “Huh? Me? Thanks, Mr. Roth.” Maria stops for a brief moment to soak in the praise before she walks through the classroom door. Clenching a thick bundle of tissues in her hand, she looks out an open window for a moment, smiling. The J-Church train outside shrieks along the rails near the school. Maria closes the window before settling into her desk. Propping the classroom door open with his right hand, Roth scans every face in the morning rush of students flowing through the hall. “Yes, I will be there,” Pablo heaves a long, dramatic sigh, with arms akimbo. “How are you doing, Darrell?” Roth turns his head toward a tall student walking into his classroom. “Are you coming to see me after school today for a test review?” Darrell nods in agreement as he joins the rest of the students. Ten minutes after the bell rings, Jesmyn slowly cracks open Roth’s classroom door, peeking through with one eye before she tip-toes inside. The class is quiet. Students are writing. Everyone is working on the “Do Now,” a fifteen-minute review exercise on topics students studied in the last class. Today there are three “short identifications,” events or ideas students have to describe in their own words in no more than three sentences. There is also a short, one-page essay in which students have to discuss the significance of a historic event and connect it to other topics they have already studied. “Look at you, kiddo!” Roth walks over to Jesmyn and says quietly, “Showed up even though you are upset about being late,” he smiles. Her pinched lips relax into a smile. “As short as you can,” he whispers back. “Just include the most relevant information. You can look in the textbook, but you must use your own words. If you copy, you don’t learn. But you don’t need the textbook. Just get started, and you’ll see that you know much more than you think.” Jesmyn exhales a long breath and writes her name on a blank piece of paper. Roth is setting up the projector while students are writing. “Two more minutes, everyone!” Roth interrupts. “No!” Destiny and Jesmyn protest. “Women’s groups concerned with domestic violence,” Destiny replies confidently. “Church groups, because they felt it was a sin to drink,” Maria adds. “That’s a really good point. Why is this happening?” Roth probes. “They get into the business of bootlegs, and Al Capone had the law on his payroll,” Jesmyn rushes to explain. “That’s true. Why are they doing that?” Roth inquires. “They say immigrants are drunks and are destroying American morals and should not be allowed here,” Darrell explains. “That’s right,” Roth nods his head. “Mr. Roth, what’s a bootleg again?” Marvin jumps in. Roth turns on the projector and a black-and-white photograph appears on the projection board: Dorothea Lange’s Migrant Mother (1936). “What do you see here?” Roth asks while students flex their wrists. “There is something very thoughtful about this picture,” Marvin says. “What makes you say that?” Roth probes. “Exactly,” Roth jumps in. “As Maria pointed out, this photo is not exploitative. Lange shows us both the struggle and the inner strength of the mother.” More of Lange’s photographs appear on the projection board. As students take turns describing what they see, Roth reviews previous material—the Dust Bowl, the Bonus Army, the beginning of Social Security—and connects it to the faces students see in the black-and-white stills. After the Lange introduction, he moves into the center of the classroom. “Jesmyn, are you ready to present?” She nods and comes up to the front of the class. “How many of you have heard of the Tulsa Race Riot of 1921?” Jesmyn asks her classmates. Two hands go up. A few weeks earlier, Roth had offered students their choice of preselected research projects that were not in the textbooks or required by the state standards. The Tulsa Race Riot of 1921 had jumped out at Jesmyn right away. She admired her boyfriend’s grandmother, Edna Tobie, and knew that she was originally from Tulsa, Oklahoma. So one Sunday Jesmyn had spent the whole day at Tobie’s house talking to her and her sons about life in Tulsa before the violence broke out. Tobie had described how despite the legacy of slavery and the Jim Crow laws, black people in Tulsa created a proud, self-sustaining community with jobs, churches, and two newspapers. The next day Jesmyn had stayed up until 2:00 a.m. summarizing her findings and preparing for the presentation. She wanted her classmates to know that despite centuries of slavery and exclusion, black people always found ways to survive and thrive. She wanted them to care about Edna and the Tulsa community as much as she did after hearing Edna’s story. As she wrote, she looked up more precise words in the thesaurus, trying to craft more moving sentences. She reviewed drafts on lined, three-hole-punched paper and threw them on the floor if she wasn’t satisfied. Each new draft felt a little better, more refined, and engaging, and sounded more like her. Trained as a historian of education and knowledgeable about each surge of school reform to improve teaching and learning over the past century, I cannot offer specific programs for school boards, superintendents, principals, teachers, parents, and voters to consider. Why? Because context is all-important. I know of no reform, no program, no technology that is context-free. The setting matters. So suggesting this program or that reform for all math classes or urban districts or elementary schools is impossible. But there are principles I embrace that guide my thinking about teaching, learning, and reform. These principles set the direction yet need to be adapted to different settings. These principles come out of my five decades of being a teacher, administrator, and scholar. These principles come out of my school experiences and as a site-based researcher. Most readers will be familiar with what I say. No surprises here. But these principles do steer my thinking about teaching, learning, and reform. No single way of teaching works best with all students. Because students differ in motivation, interests, and abilities, using a wide repertoire of approaches in lessons and units is essential. Direct instruction, small groups, whole-group guided discussions, student choice, worksheets, research papers, project-based instruction, online software, etc., etc., etc. need to be in the tool kit of every teacher. 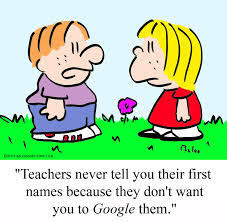 There are, of course, reformers and reform-minded researchers who try to alter how teachers teach and the content of their instruction from afar such as Common Core State Standards, the newest version of New Math, New Science, New History, or similar curricular inventions. I support such initiatives as long as they rely upon a broad repertoire of teacher approaches to content and skills. When the reforms do not, when they ask teachers to adhere to a certain best way of teaching (e.g., project-based teaching, direct instruction) regardless of context, I oppose such reforms. Small and slow changes in classroom practice occur often. Fundamental and rapid changes in practice seldom happen. While well-intentioned reformers seek to basically change how teachers teach reading, math, science, and history, such 180 degree changes in the world of the classroom (or hospital, or therapist’s office, or law enforcement or criminal justice) seldom occur. Over the decades, experienced teachers have become allergic to reformer claims of fast and deep changes in what they do daily in their classrooms. As gatekeepers for their students, teachers, aware of the settings in which they teach, have learned to adapt new ideas and practices that accord with their beliefs and that they think will help their students. Reforms that ignore these historical realities are ill-fated. I support those efforts to build on this history of classroom change, teacher wisdom of practice, and awareness of the context in which the reform will occur. School structures influence instruction. The age-graded school structure, a 19th century innovation that is now universally cemented to K-12 schooling across the U.S., does influence what happens in classrooms in expected and unexpected ways, depending on the context. Teachers adapt to this structure in following a schedule as they prepare 50-minute (or hour-long) lessons. Age-graded structures harnessed to accountability regulations have demanded that teachers prepare students for high-stakes annual tests. These structures require teachers to judge each student as to whether he or she will pass at the end of the school year. 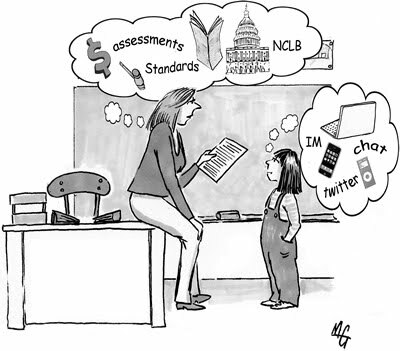 School and district structures (e.g., curriculum standards, professional learning communities, evaluation policies) like the age-graded school have intended and unintended influences on the what and how of teaching. Teacher involvement in instructional reform. From the mid-19th century through the early decades of the 21st century, no instructional reform imposed upon teachers has been adopted by most teachers and used in lessons as intended. The history of top-down classroom reform is a history of failed efforts to alter what teachers do daily. I include new ways of teaching reading, math, science, and history over the past century. Where and when there have been changes in classroom instruction, teachers were involved in the planning and implementation of the reform. Examples range from Denver curriculum reform in the 1920s, the Eight Year Study in the 1930s, creation of alternative schools in the 1960s, the Coalition of Essential Schools in the 1980s, designed classroom interventions a’ la Ann Brown in the 1990s, and teacher-run schools in the 2000s. Reforms aimed at altering classroom instruction require working closely with teachers from the very beginning of a planned change and includes building on their existing expertise. These are some of the principles that guide my views of school reform, teaching, and learning. They offer criteria by which I can sort through reform ventures seeking to improve teaching and learning. One of the key pieces of wisdom I have learned over my years in classrooms, as a superintendent, and historian of education is that teachers learn most from other teachers they respect. Not high-priced consultants who fly in, talk, and catch an early flight out. Not software publishers who sponsor 1-day workshops. Not district-led professional development seminars on scheduled days. Just the simple fact of teachers reaching out to peers in their school or across town for help with a lesson, a student, or figuring out a district policy. Teachers teaching teachers is hardly new. Programs where experienced teachers in a school work with newcomers to the classroom are familiar in most districts. Professional learning communities ( or “communities of practice”) that spring up in schools where teachers of the same subject or at grade levels share materials, experiences, and help one another out. Instead of being a last-ditch (and inexpensive) effort in districts, smart administrators have cultivated such programs and communities knowing full well that local talent is both admired and respected by teachers in need of help. “What started out as a hobby has turned into a business,” Randazzo says. She has generated over $100,000 in sales through TeachersPayTeachers. In response to other teachers who buy and use her lessons she has started a YouTube channel to demonstrate how to teach such concepts as irony. According to Randazzo, her “customers” find her lessons and advice helpful because she faces similar issues in her classroom. “That is what ground-level teachers,” she says, “are able to do that textbook publishers can’t.” And I would add consultants who parachute into districts, out-of-town experts, and vendor-hired specialists to Randazzo’s list. None of the above is a blurb for either the website or Laura Randazzo. Teacher getting help from other teachers is essential for the improvement of classroom practice. None of the lessons bought or created have been vetted by researchers except for those entrepreneurial teachers who have affirmed that these activities, these exercises, and ideas have worked in their classrooms. Here is the wisdom of practice monetized.